A. S. & W. Wholesale Kansas City, was established in the spring of 1954. Initially, it started business as a manufacture of Venetian Blinds and Awing's as a wholesaler and retailer. In the mid-1960's with the introduction of permanent siding solutions (aluminum siding) the company progressed into a wholesaler and retailer of siding products. By the late 1970's A. S. & W. Wholesale exited the retail end of the business and became one of the top rated independent wholesale distributors in the Kansas City area. 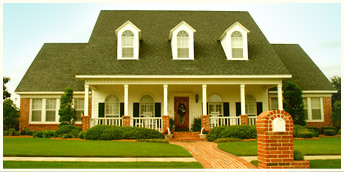 Marketing and supplying professional remodelers and builders within a 125 mile radius of their location. A. S.&W added their second location in the St. Louis, Missouri market area in 1984. A. S. & W. Wholesale continues today with over 50 years of the same family ownership as one of the premier independent distributors of the finest quality building materials for the professional in the area. Provide professional contractors with the highest quality exterior building products while maintaining the highest of ethical standards.